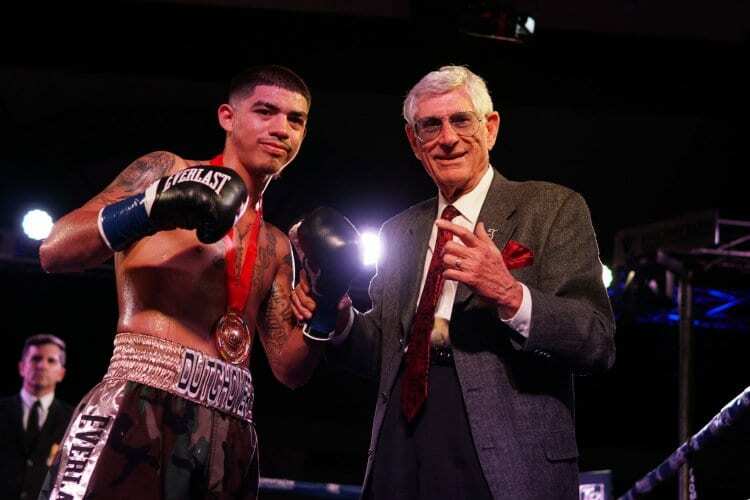 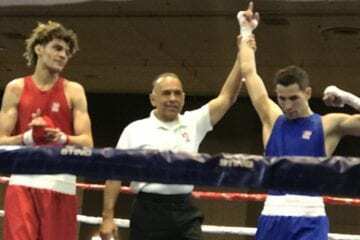 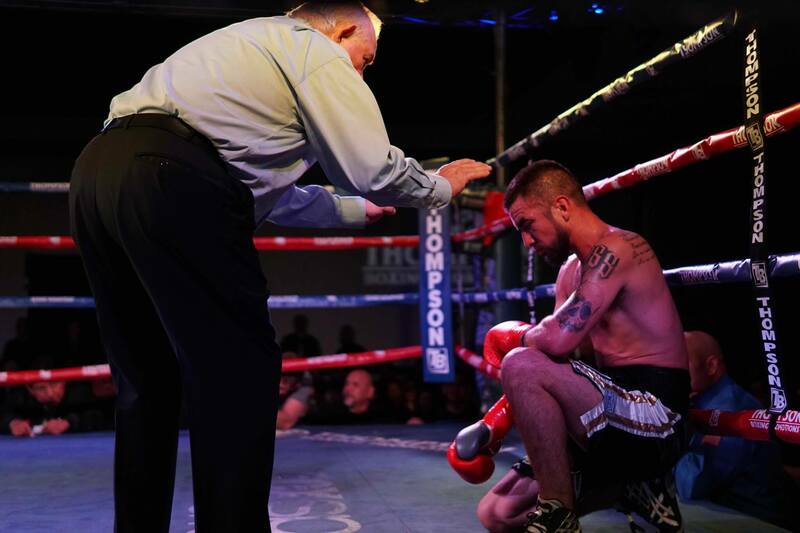 “The West Texas Warrior” Michael Dutchover improves his record with a 3rd knockout over game veteran Ruben Tamayo in a lightweight bout that headlined Thompson Boxing’s card from Ontario, CA. 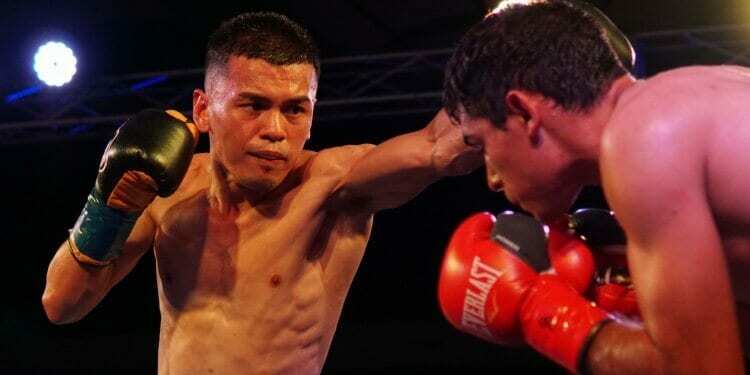 It was all Dutchover, who is an incredibly powerful lightweight who did what he had to do with Tamayo. 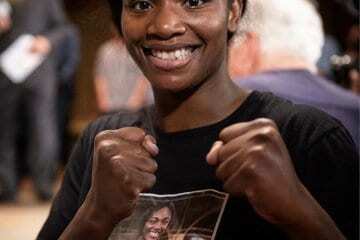 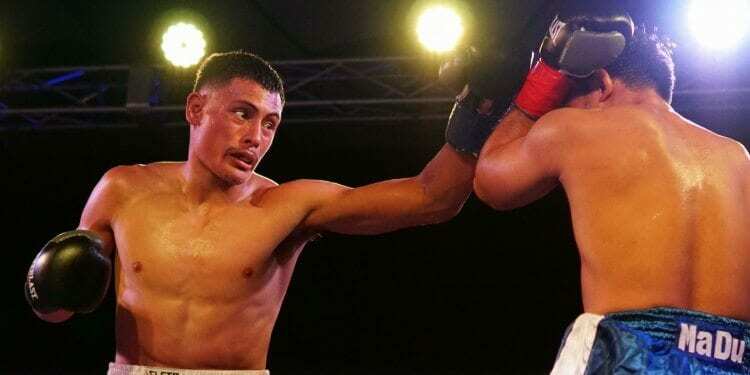 It is more than likely Dutchover will campaign at 130 lbs. 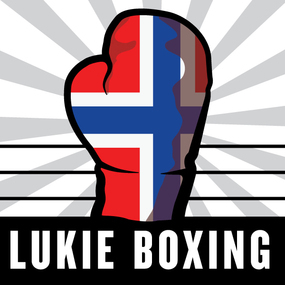 for a world title when the time is right. 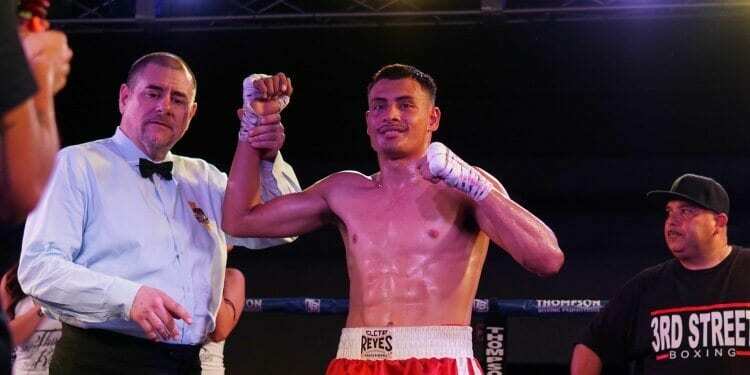 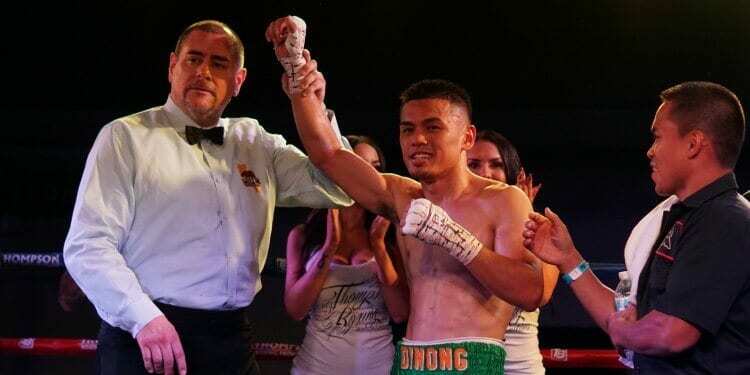 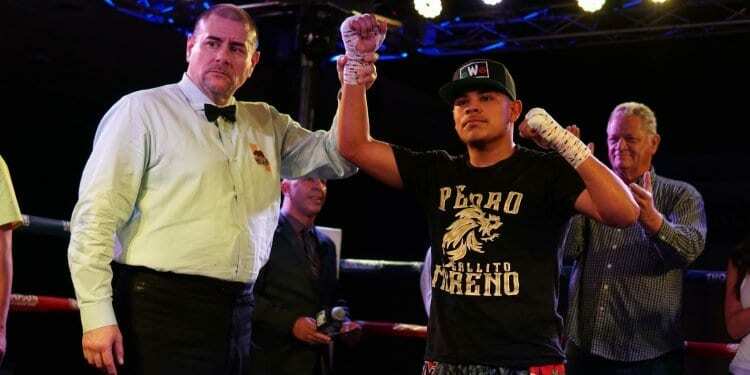 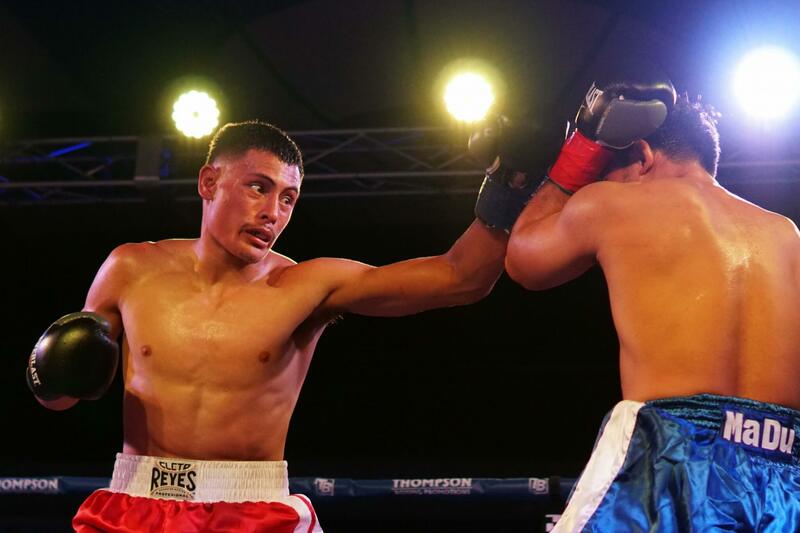 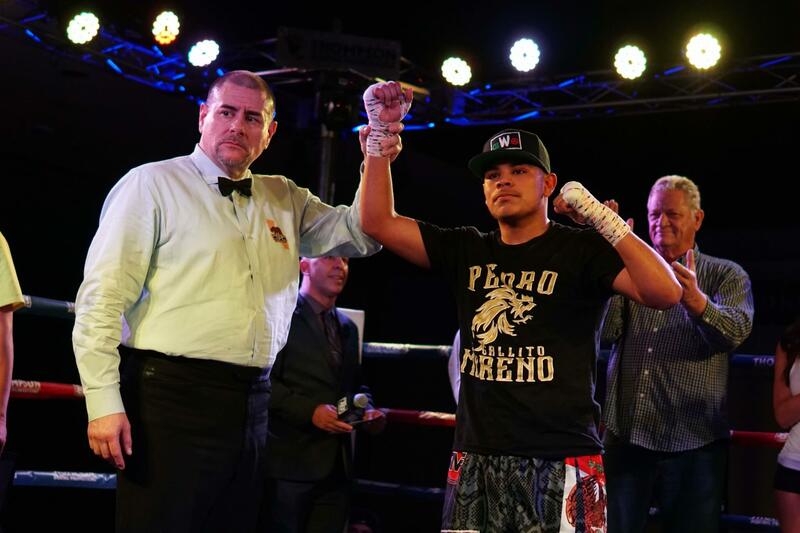 The co-main event saw Sacramento, CA’s lightweight Pedro Moreno stop Erick Aguirre in the second-round. 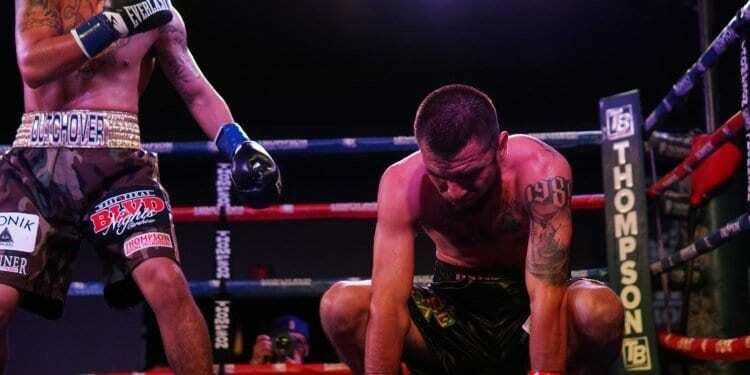 The power was there, but Moreno is still making fights harder than they need to be. 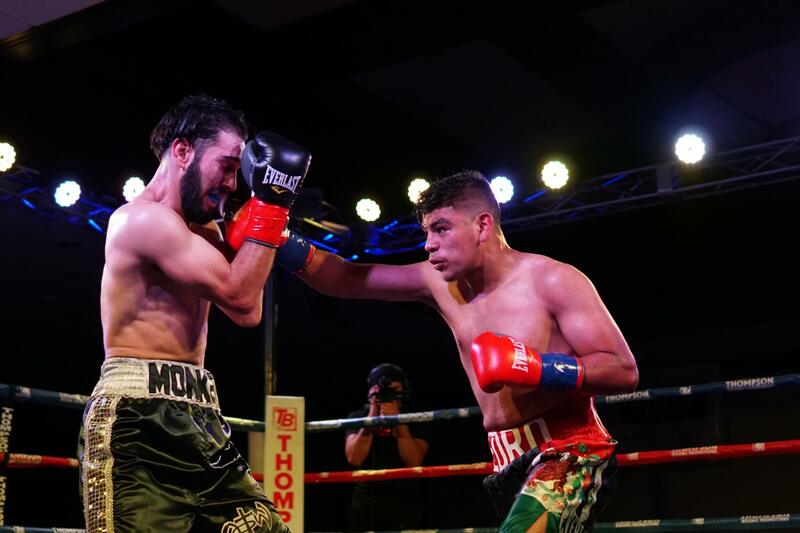 A good finish to this bout showing Moreno’s punching-power is very real. 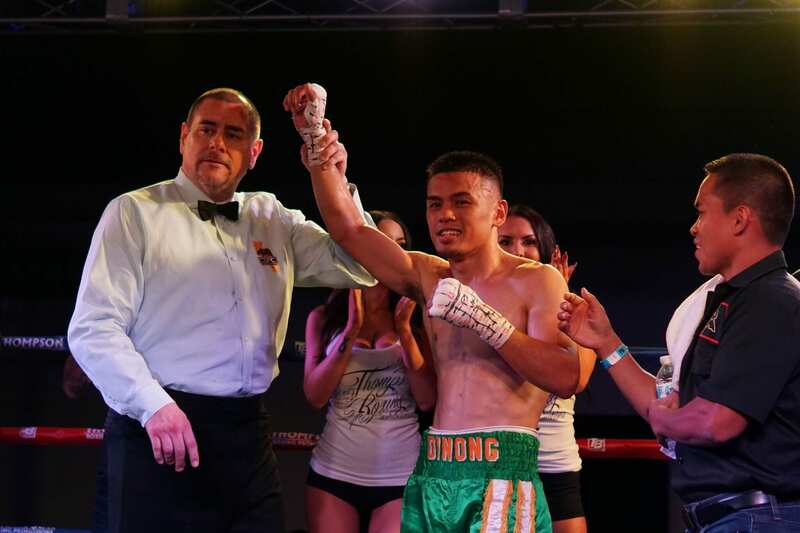 Also, San Mateo, CA’s Arnold Dinong got his third professional win over Alex Solorio in the opening bout of the evening. 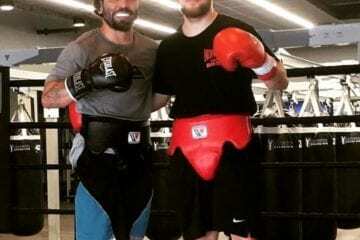 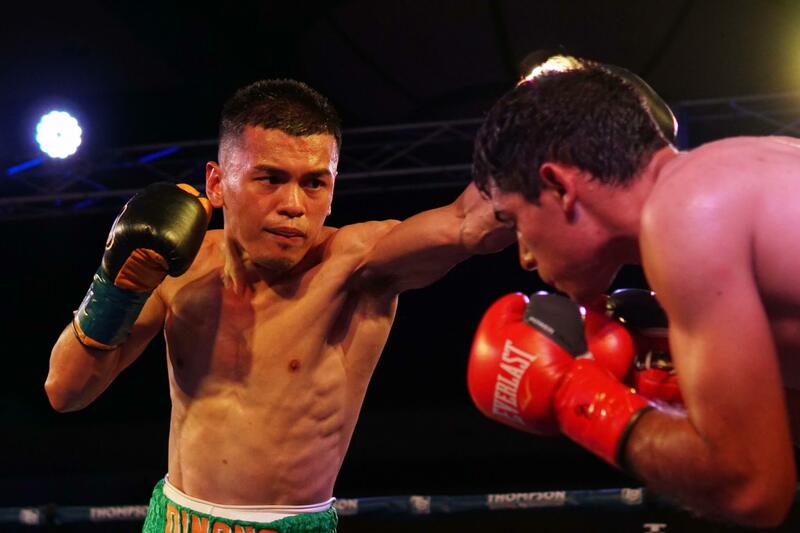 Dinong, who didn’t have the deepest amateur career is being brought along by Bruno Escalante and Mike Bazzell as he is looking to have an extended professional career before taking a jump in competition. 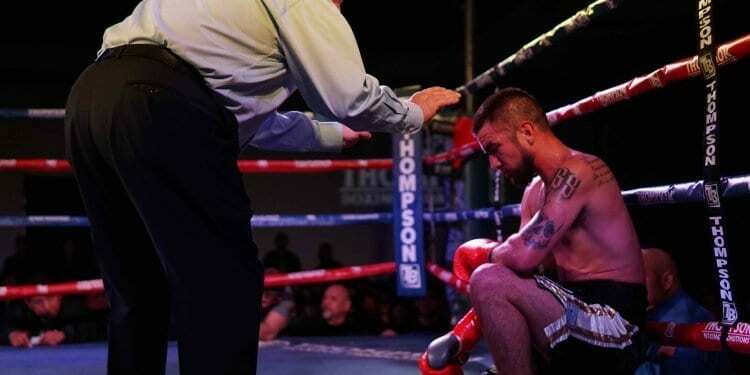 This was a good test for him, in which he won every round. 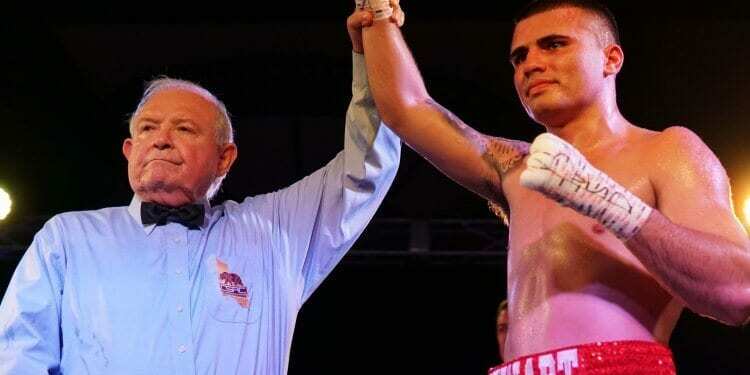 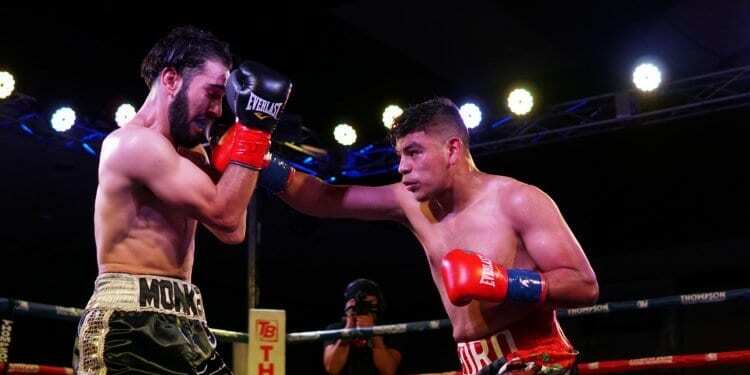 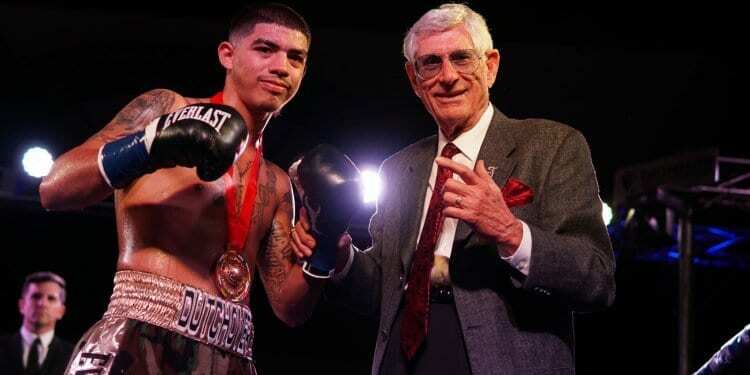 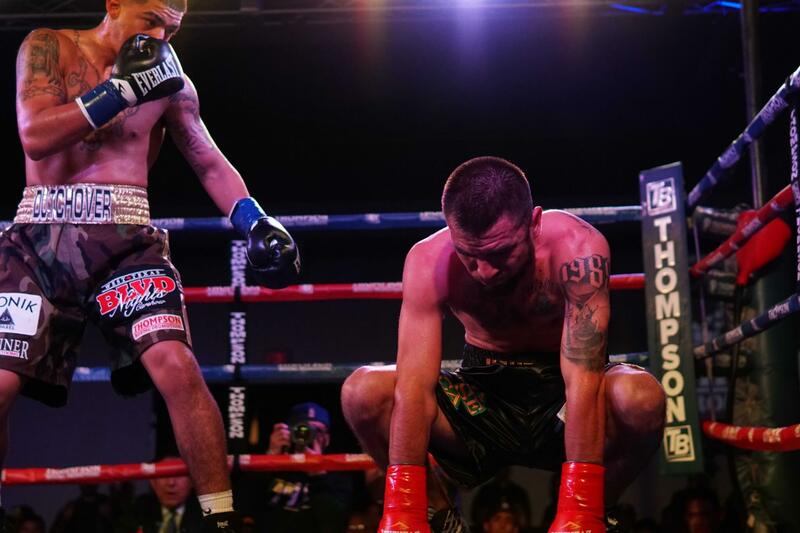 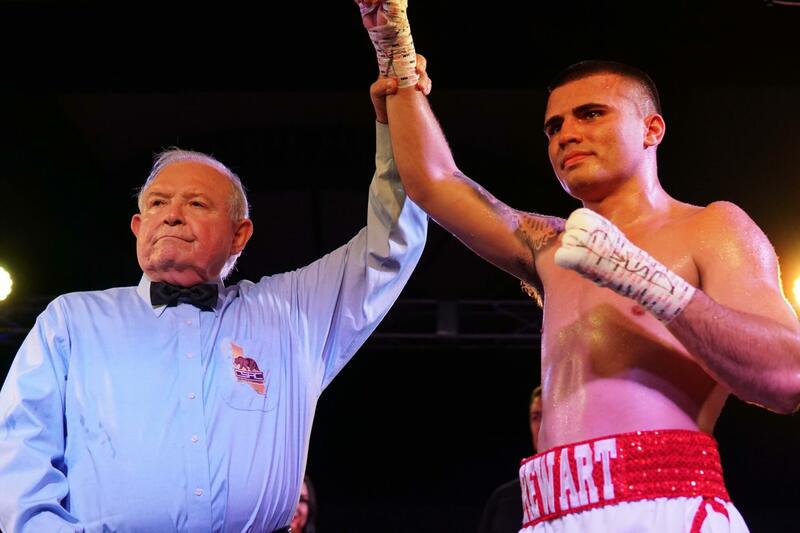 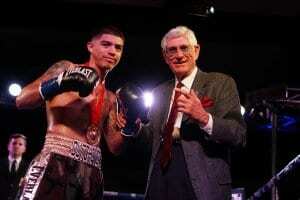 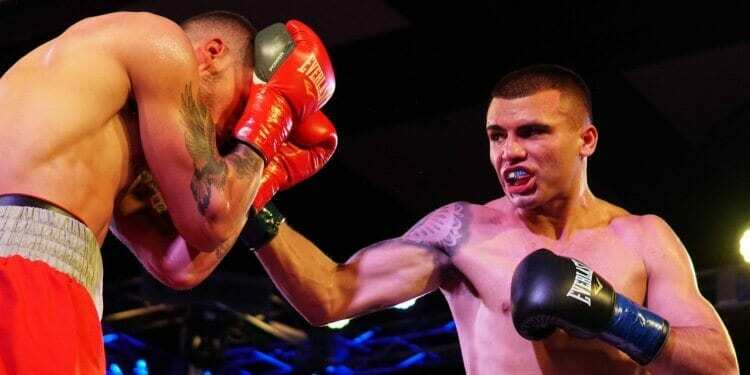 Super bantamweight Mario Hernandez picked up a six-round decision over Luis Montellano. 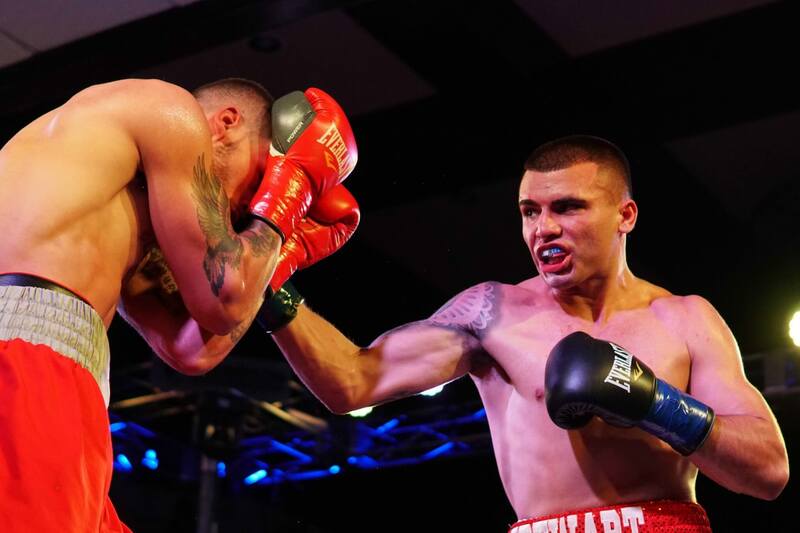 Welterweight Richard Brewart got a four-round decision over Antonio Hernandez. 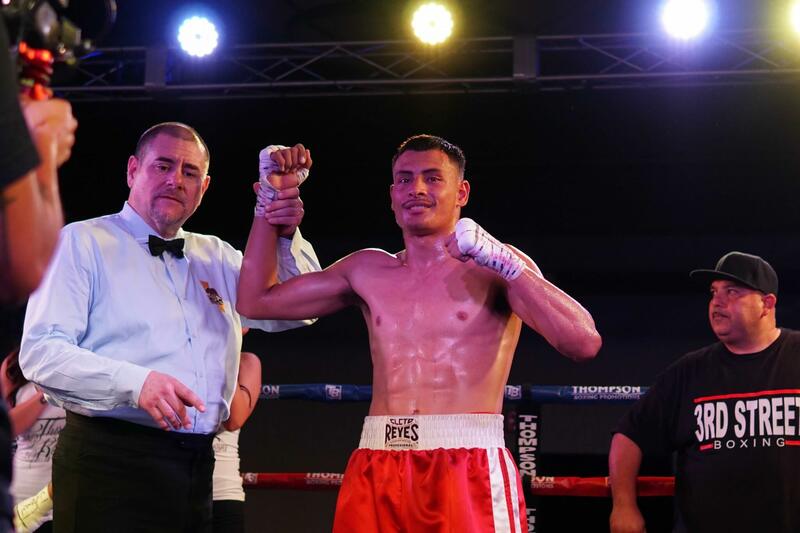 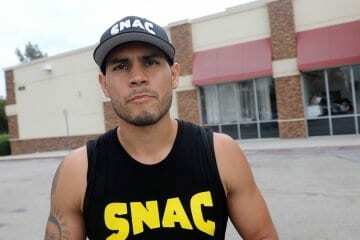 Super welterweight Leo Ruiz got a four-round decision over Nam Phan.